Crop rotation is important as it allows one to greatly increase their vegetable yields. All it involves is rotating what you grow between plots as to maintain nutrient levels. The most common way to do this is by rotating four families of crops that complement each other. By waiting four years before growing vegetables from the same family in a particular plot, one can partly restore the soil’s nitrogen content, and avoid the buildup of disease/pests. The most simple way to do this is to use four equal-sized raised beds and rotate clockwise. Crop rotation has long been practiced and even features in the Old Testament. After the advent of farming, farmers came to realise that growing the same crops year-on-year would exhaust the soil, so it became common to leave fields to fallow once every two years. By the Middle Ages a three-field system was developed, whereby legumes such as beans, lentils and peas were introduced and grown after nitrogen-hungry cereals. The introduction was of great importance as the legumes can both thrive in nitrogen-depleted soil and restore the quantity of nitrogen for future use by cereals. Legumes are unique in that they form symbiotic relationships with nitrogen-fixing bacteria, exchanging carbohydrates for nitrogen. 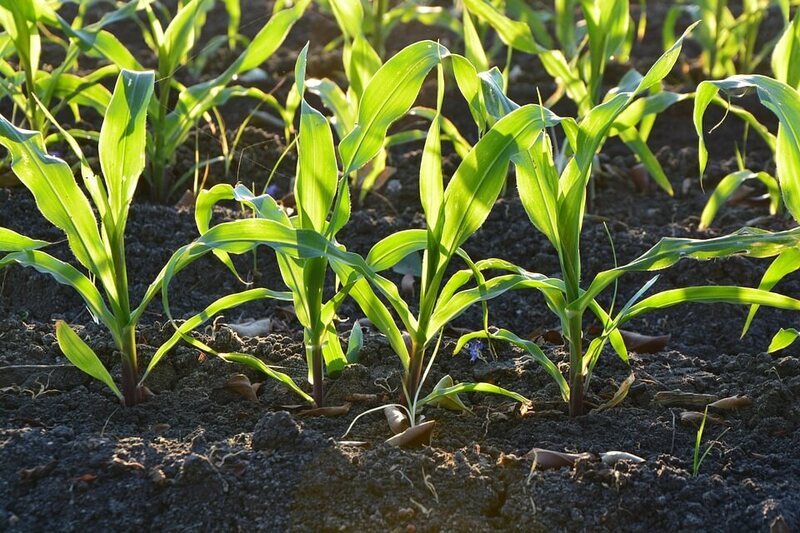 The bacteria acts to improve the soil as once it dies the nitrogen eventually becomes mineralised, available for use by bacteria, fungi and plants. Charles “Turnip” Townshend introduced four field rotation to England. From the 18th and 19th century, more advanced forms of crop rotation substantially increased agricultural output, partly enabling the growth of cities and the Industrial Revolution. Originating from Holland, came four-field rotation that was introduced to England in the 18th century by Charles Townshend. Townshend divided his fields into four different types with a different type of crop grown in each. The system allowed farmers to keep all the fields in use, and utilised clover, another legume, to improve the soil’s nitrogen content. Also grown was turnips that along with clover was used as a source of fodder. More nutritious than grass, the fodder produced healthier livestock, and richer manure that could be plowed back into the soil. By growing animal feed every year, livestock no longer needed to be slaughtered over winter, increasing their quantity and quality. The benefits of crop rotation has been confirmed with multiple modern scientific studies. One recent study from the John Innes Centre found that growing peas and oats in soil that previously grew wheat significantly increased the diversity of microbes, which help plants acquire nutrients, regulate growth, and protect from pests and disease. Another from 2012 found that “grain yields, mass of harvested products, and profit in more diverse systems were similar to, or greater than, those in the conventional system, despite reductions of agrichemical inputs”. And finally, a study from 2009 found that organic sources of nitrogen (i.e. legumes) remained in the soil for longer than inorganic sources, reducing the pollution of water sources from run-off. So, what plants should I grow in my beds? Presuming you are to practice four-bed rotation we recommend that of the six main vegetable families: potato (Solanaceae), pea (Fabaceae or legumes), cabbage (Brassicaceae), carrot (Umbelliferae), beet (Chenopodiaceae) and onions (Liliaceae), you grow them all separately with the exception of onions, carrots and beet that can be all grown together. By rotating between different families, you can avoid build up of disease/pests that tend to attack specific plant families, and grow a variety of different crops. In general, it is best that peas (Fabaceae or legumes) follow the nitrogen depleting potatoes (Solanaceae). This will help you maintain healthy soil. Simply plan out what you wish to grow.